90,000 people attend our prestigious Festival each year, with an estimated economic impact of £8.2m and media coverage in excess of £1m. The resonating impact of the Arts offers an unrivalled opportunity to reach high volumes of ABC1 professionals. From adverts in our 30,000 Event Guides to your logo online (we attract 175,000 page views from around the globe), you can get visibility and inspire confidence in your brand directly to this sought after audience. 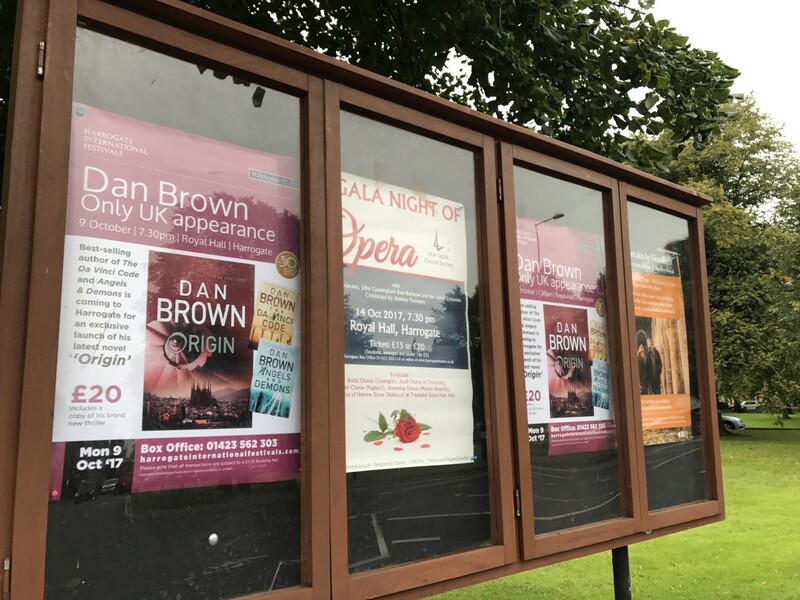 Our Festival Event Guide is a full A5 brochure detailing all Festival events throughout July, circulated in the months running up to and during the Summer. 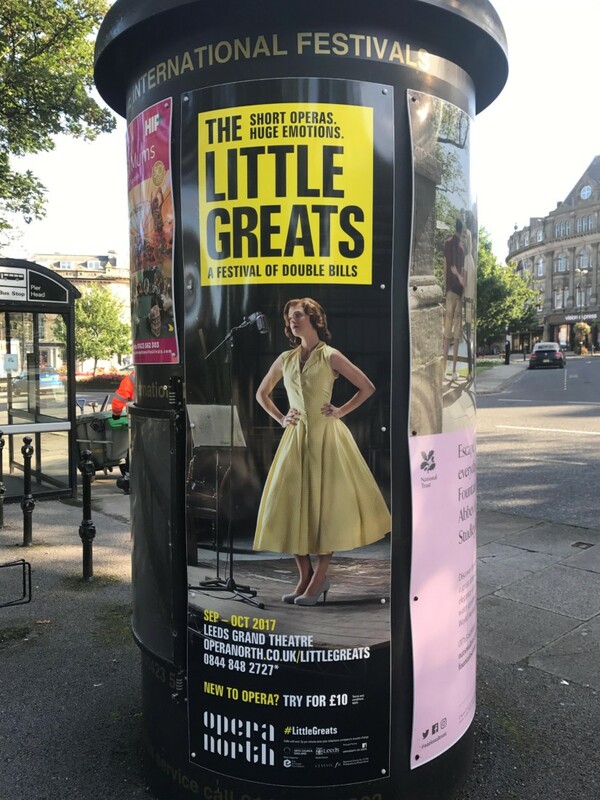 Our 25,000 Event Guides are printed and distributed across Yorkshire, circulating in high footfall businesses and attractions, cafes, community areas as well as homes of our audience and supporters, in addition to our 10,000 strong database of core supporters. Our Festival programme is a high quality, full colour, perfect bound publication that provides more details about all Festival events in July. Packed with exclusive in-depth articles, features and interviews on our world class artists. Our 2,000 Programme Books are printed and distributed at all Festival events during the Summer to ABC1 dedicated audience. Throughout Summer 2018 our website harrogateinternationalfestivals.com had over 675,000 page views with 480,000 of these unique page views. We received over 3.5 million impressions on Twitter and 1.1 million impressions on Facebook. Our online press across all Festivals was viewed by over 12 million. 100 Newsletters were sent to our database of over 10,000 dedicated festival fans. Outdoor marketing made easy. 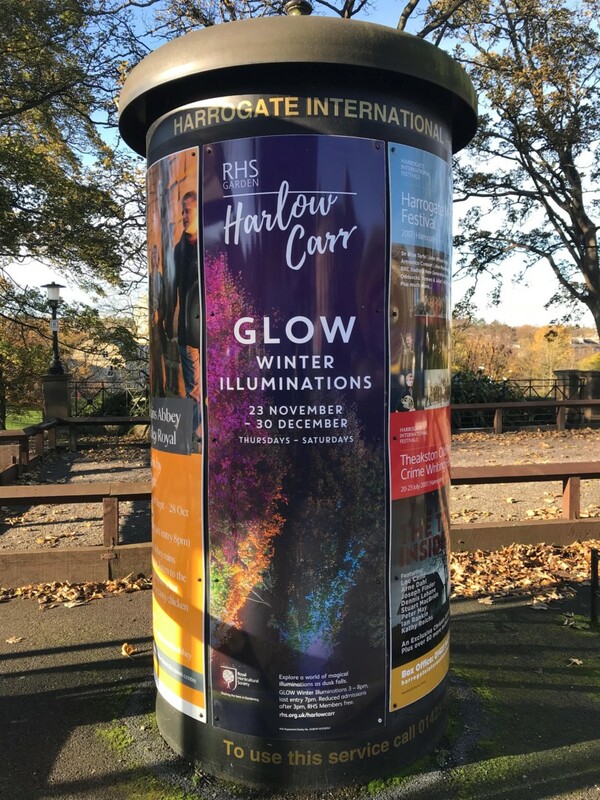 Utilise our three outdoor Roundels, located at Betty’s, Library Gardens and the Hydro Swimming Pool to advertise your upcoming event or organisation. Contact Beth Walker on 01423 562303 or beth@harrogate-festival.org.uk for availability and pricing. Category 1 – £40 fee plus £8 VAT totalling £48 (4- 8 posters , 4 weeks). Category 2 – £100 fee plus £20 VAT totalling £120 (4-8 posters, 4 weeks). Non- local: (outside of Harrogate District) registered arts charity events, voluntary organisations, community groups and not-for-profit arts and cultural organisations, plus any commercial events (local/non local). 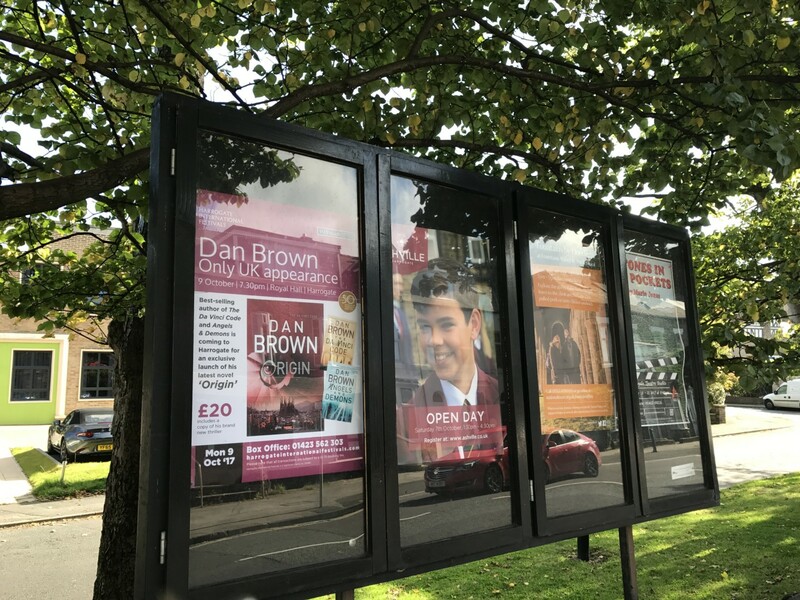 Please enquire about availability through posters@harrogate-festival.org.uk before completing a Poster Display Form. Unfortunately, we can not accept posters for distribution without this form. If you are a registered charity you are eligible for a zero rate of VAT. In order for us process this, it is essential that you complete and return a Charity Advertising – certificate.